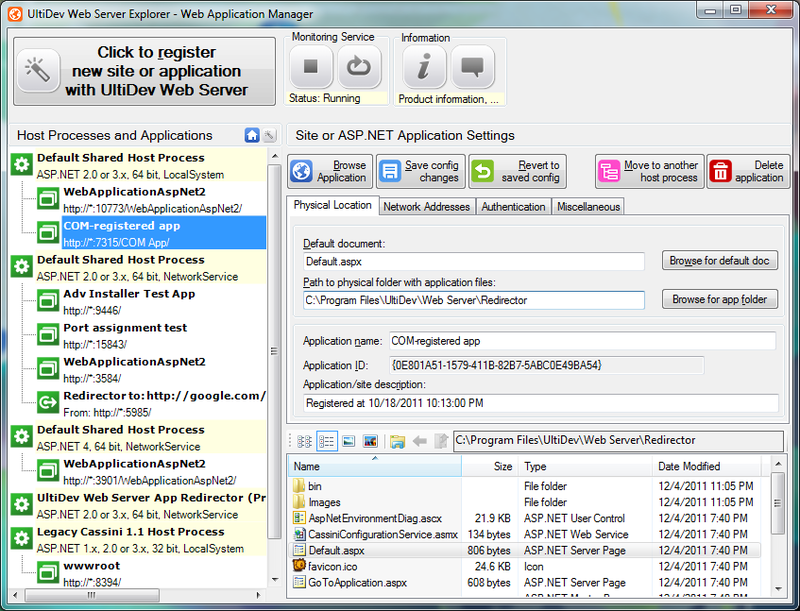 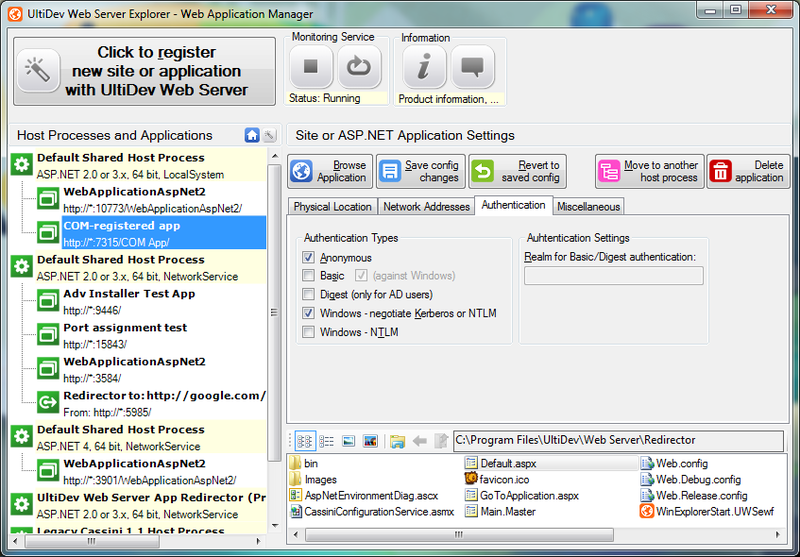 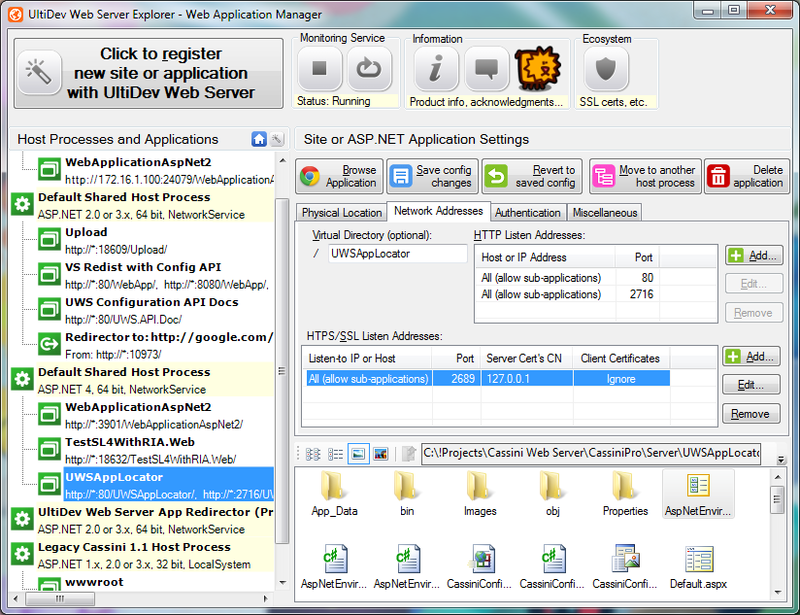 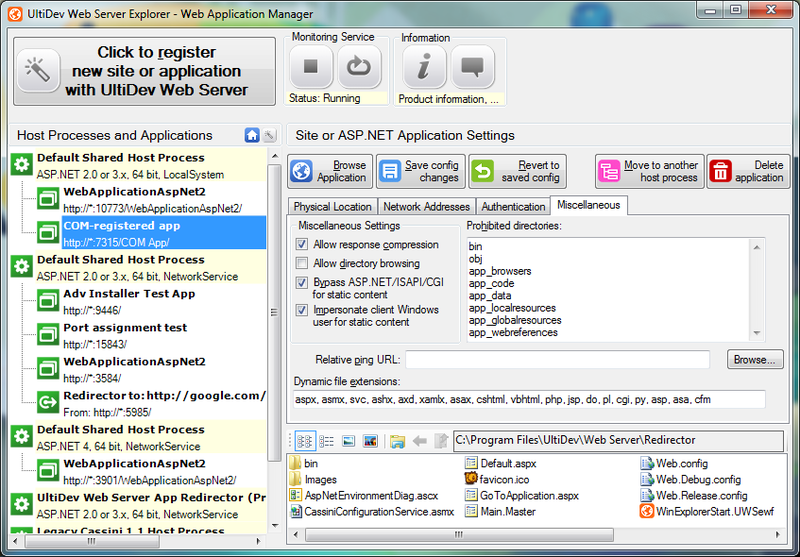 UWS Explorer - is a web site and application management console (shown with an application selected) for UltiDev Web Server Pro. 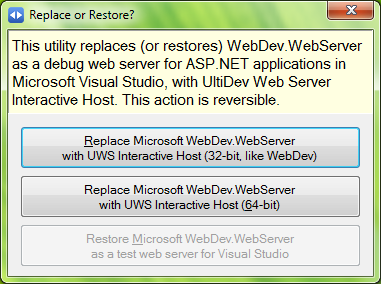 UltiDev Web Server is the only truly easily-redistributable web server. 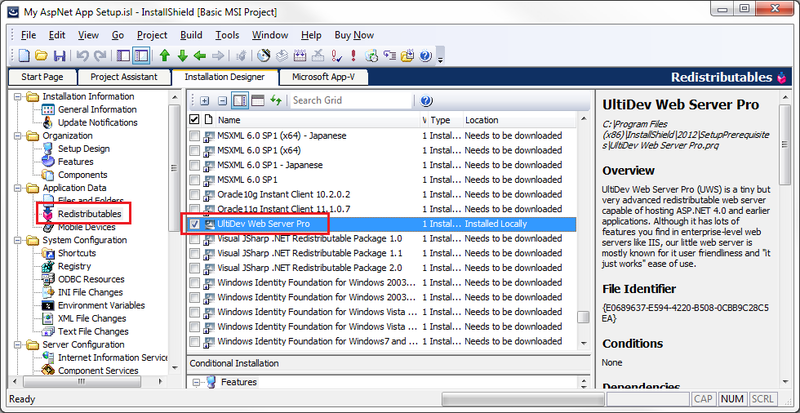 It can be easily added to installers made with Visual Studio, Advanced Installer and InstallShield. 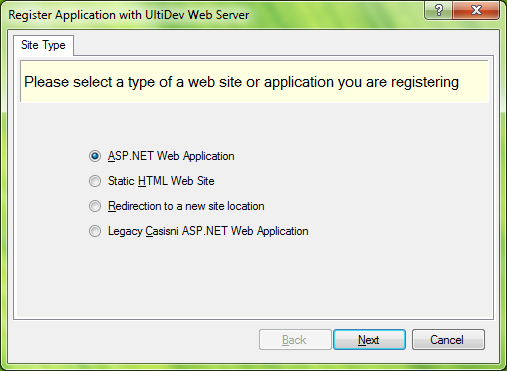 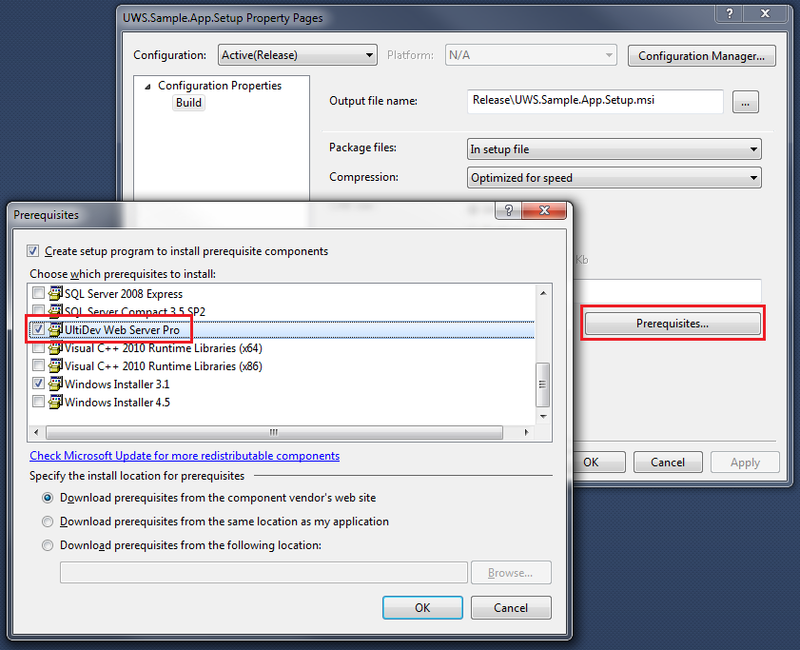 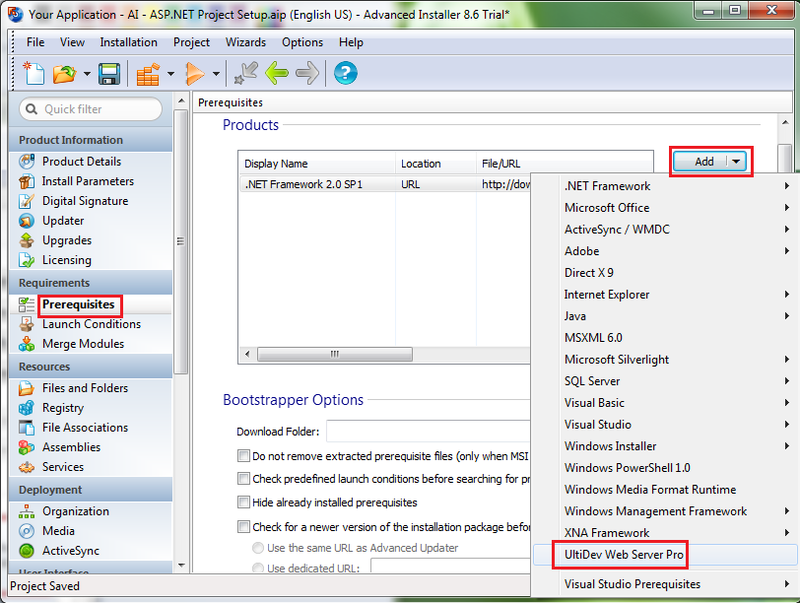 More information on how to build an installer for your ASP.NET application that includes UWS is here. 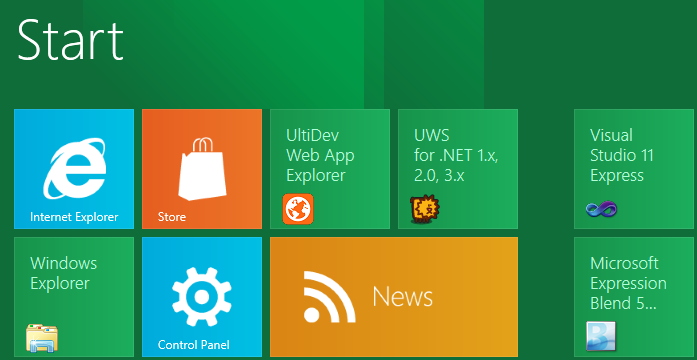 Although current build does not have native Windows 8 Metro UI, UWS has not trouble running on Windows 8. 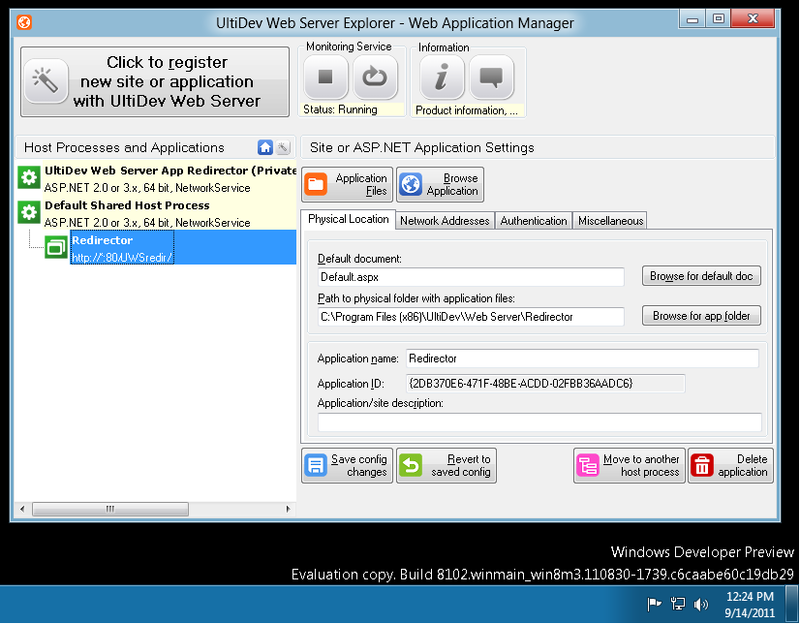 Since build 12, UWS comes with Advanced Installer prerequisite. 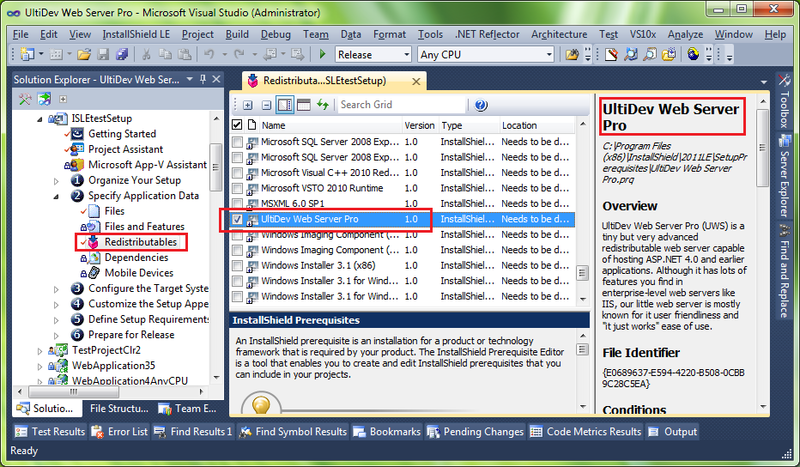 Complete walk-through on how to use UWS with Advanced Installer is here. 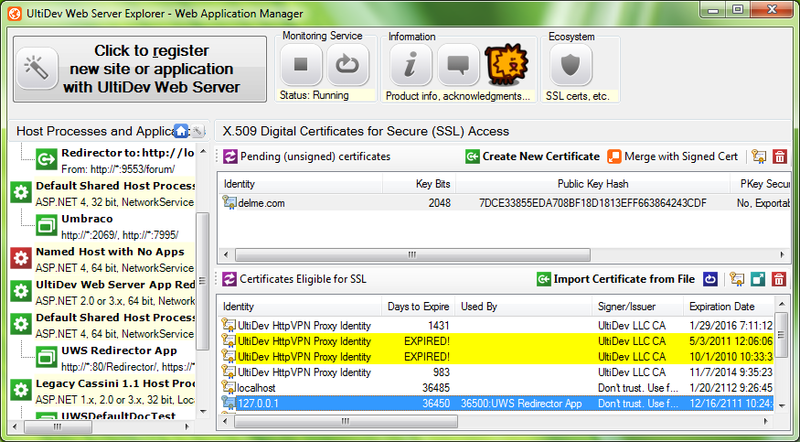 Starting with build 15, UWS supports SSL and has complete certificate management and provisioning functionality.